These satin finish cast bronze letters will have stroke-sanded faces and bead blasted returns. Once your bronze letters are cast from prime ingot, sanded, blasted, and inspected, they are finished with an oven baked 2-part hardened acrylic polyurethane clear coat. This brushed look, satin bronze finish is the most common finish for these sign letters. 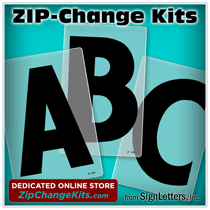 These cast metal letters are produced using Bronze alloy NAVY G (lead free - mercury free / US 10 finish).